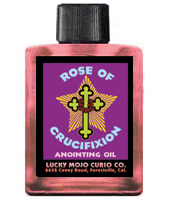 Rose of Crucifixion is a mystical Christian scent. 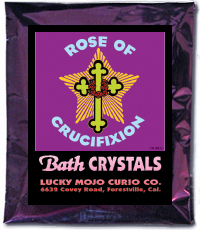 Included within it are Roses, of course, and Cloves (for the nails of crucifixion), as well as other natural herbs. It brings comfort and love -- the blessings of Christ the Comforter. 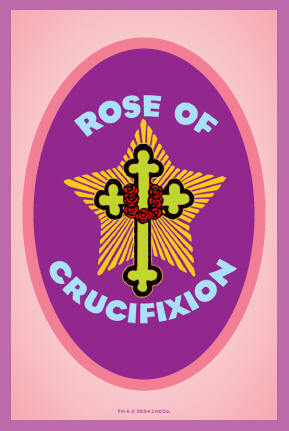 This is a scent for those who are devoted to Jesus, and to his sacrifice. 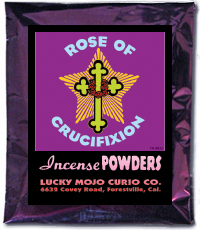 It mixes well with Just Judge and Mano Poderosa (Powerful Hand) which also depict the crucifixion, and with any of the other scents dedicated to Jesus, such as the Infant of Prague, Infant of Atocha, Little White Guest, Holy Trinity, Sacred Heart, or Jesus the King. These can be blended together or used singly, as you choose. 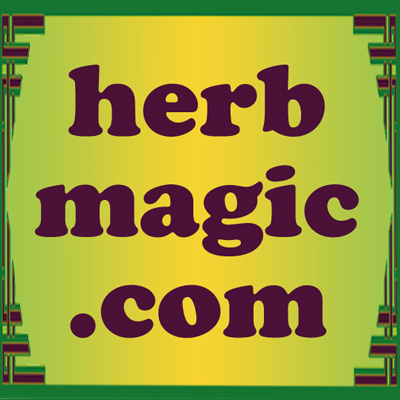 The powder can be used as a sachet to line drawers where you might keep church clothing (to scent them) and also as a regular a dusting for candles or under an altar cloth where you would be doing prayer work. 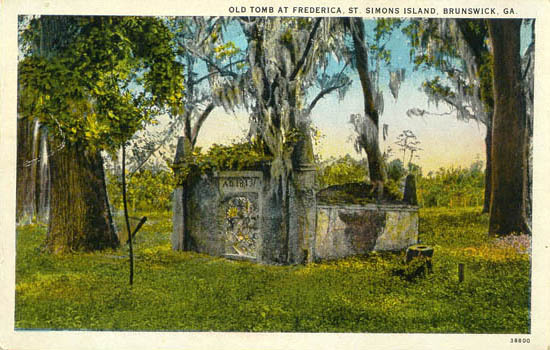 For more on dusting under altar cloths, see the book "Hoodoo Shrines and Altars" by Phoenix Le Fae. 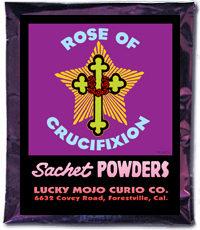 Order Rose of Crucifixion Oil from the Lucky Mojo Curio Co.
Order Rose of Crucifixion Incense from the Lucky Mojo Curio Co.
Order Rose of Crucifixion Bath Crystals from the Lucky Mojo Curio Co.
Order Rose of Crucifixion Sachet Powder from the Lucky Mojo Curio Co.
> Order Rose of Crucifixion Vigil Light Candles from the Lucky Mojo Curio Co.